Why this course, what is unique about it? 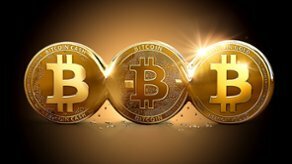 You will gain practical experience with Bitcoin, as well as essential background theory. You begin with an overview to ensure that you understand the ecosystem, then direct to mining and investing. Within a few hours after the first module you will be able to make informed decisions about cryptocurrencies. We also include our exclusive GCMS cryptocurrency exchange guide(who to use or avoid), vetted from personal experience and what we are hearing on crypto forums. You don’t need any previous knowledge on Bitcoin. We will take you from the basics, to Bitcoin mining, investing and trading. This also includes the important topics on the mechanics(hot-cold storage of your Bitcoin keys, exchanges, etc.) and guidelines of the Bitcoin and cryptocurrency ecosystem(expanded list of course content below). * Includes our exclusive, Cryptocurrency Forecast, an insider report on the most relevant cryptos to consider investing in. * Also includes an exclusive link to one of the best platforms for demo Bitcoin investing (safely test your strategies without risk). Go ahead, and Buy now’ Grab this opportunity to join the Bitcoin & cryptocurrency markets.